Thirty (30) units consisting of twelve (12) studios and eighteen (18) one-bedroom apartments. 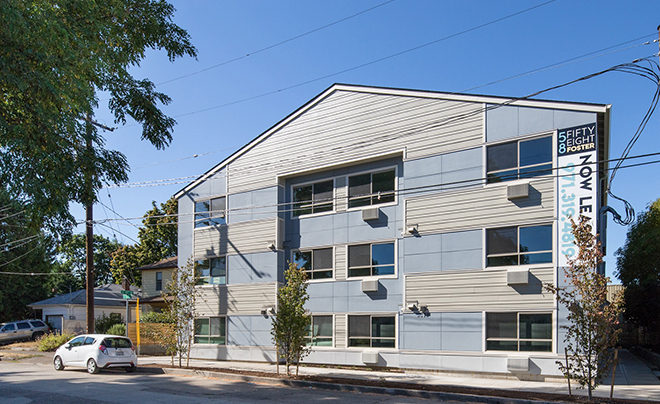 58 Foster is a fully stabilized, newly constructed apartment building in the desirable Foster/Powell neighborhood of SE Portland. Completed in 2017, this property quickly leased-up to capacity. The unit mix of studio and one-bedroom apartments and its proximity to downtown Portland attracts a strong tenant demographic. Units offer modern finishes and color schemes, large windows, air conditioning, and in-unit washer and dryer.